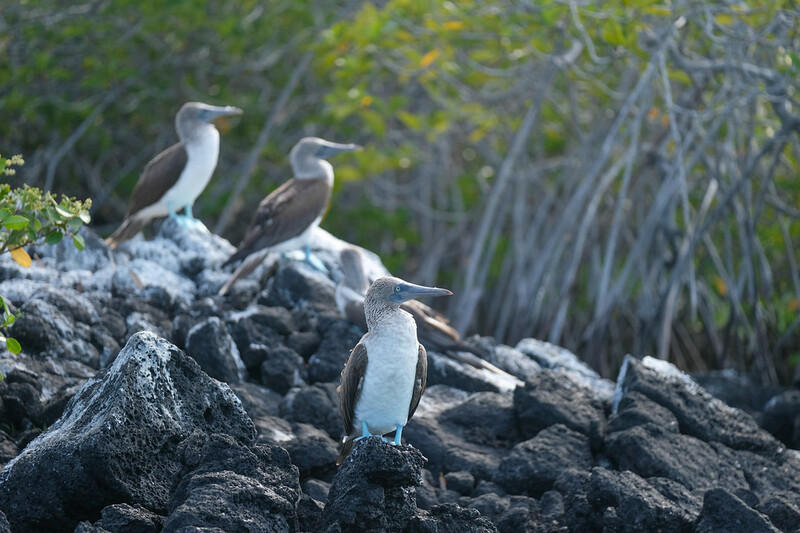 After exploring Rábida Island on the sixth day of my Galápagos cruise, we took a trip over to the mangroves at Black Turtle Cove. Located on the north shore of Santa Cruz Island, Black Turtle Cove is a perfect spot to check out sharks; we spotted black tip and white tip sharks on the way over. It’s also a dream destination for getting some peace and quiet. This is a place like no other. 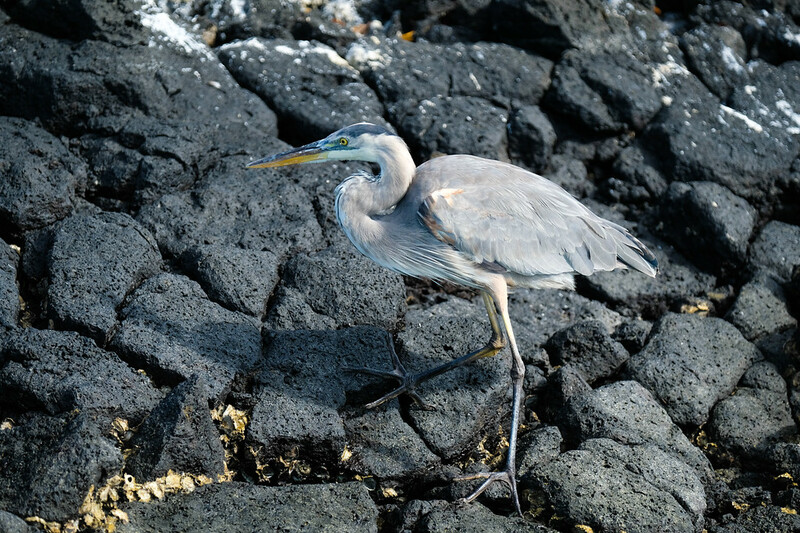 Part of the Galápagos National Park, Black Turtle Cove is a quiet sanctuary for local wildlife. Boats have to turn off their motors here, so you’ll rarely hear more than the sounds of nature around you. 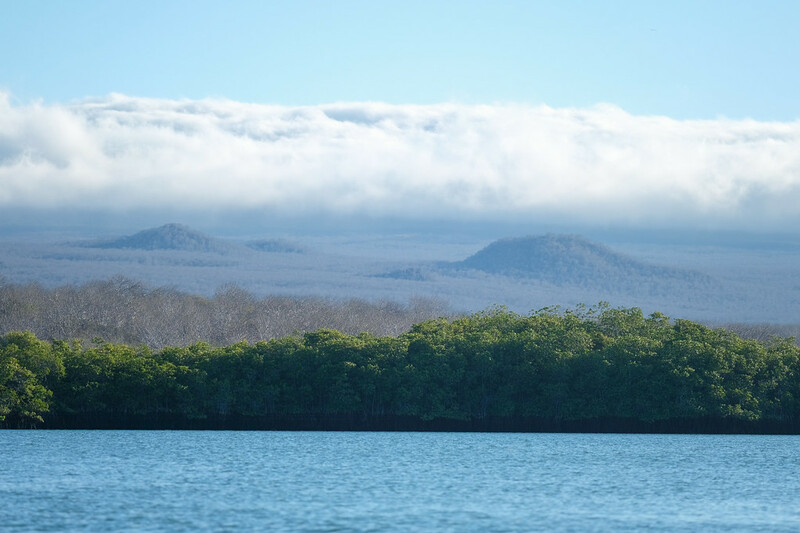 From the panga, we navigated into the cove and the mangrove forest. It is peaceful and full of animals, like turtles, sharks, and rays. 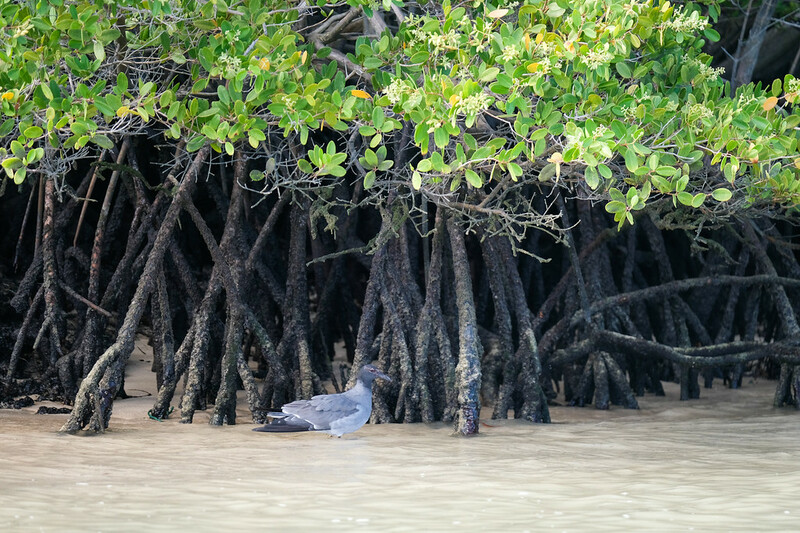 And the mangroves! The trees themselves are beautiful. Black Turtle Cove is a lush area and the perfect chance to get into the local animals’ secret hideaways. 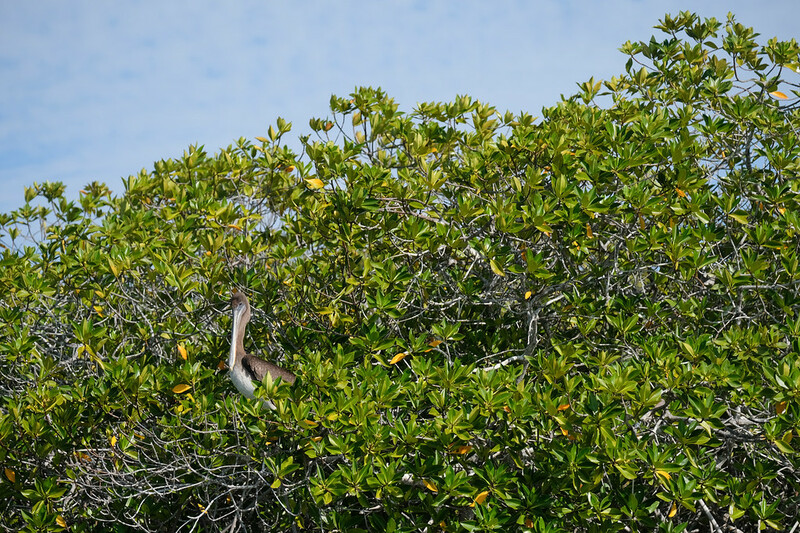 We saw herons and pelicans all over the trees, and there are rumors that Galápagos sharks lurk in the waters of the mangroves. Exploring on a silent panga made the whole experience feel completely serene. 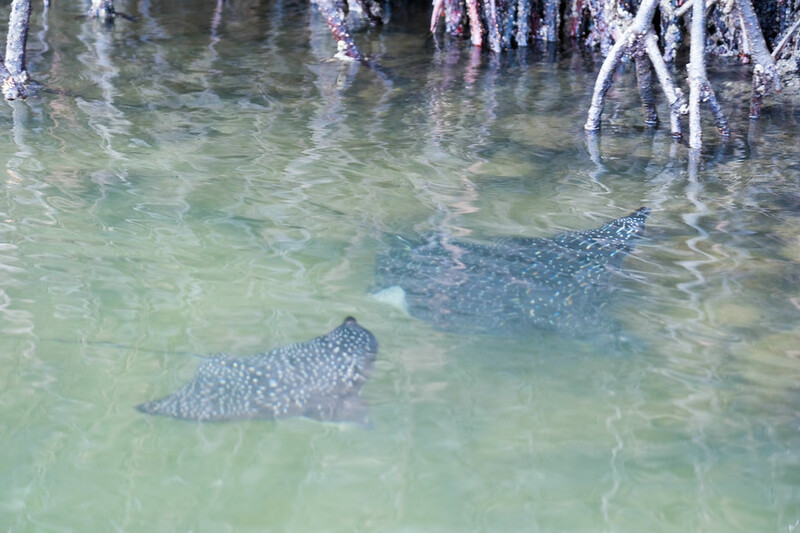 Navigating through the mangroves in slow-mo was perfect for snapping shots of the animals in their natural habitat. 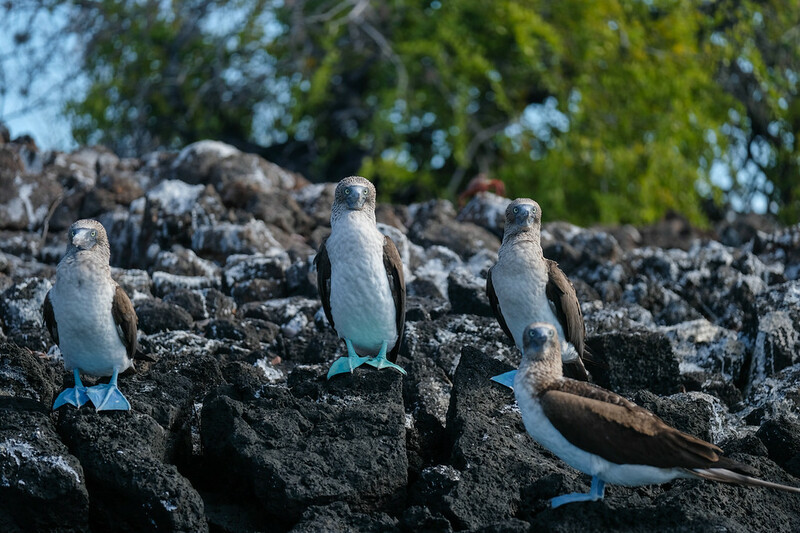 Your photos of the wildlife are superb, it must have been an amazing experience to visit the Galapagos. I’m curious as to what a panga boat looks like too!